" The resort needs no introduction. Famous for being the highest in Europe and often mentioned as the best in Europe and the new Club Med Val Thorens Sensation is really sensational. The interior is designed to a high standard which is clear from the moment you step inside. Besides the main reception they also have floating check in desks to make check in as quick and smooth as possible. In the lounge there is a climbing wall that anyone can have a go on and from the staircase you have a great view of the climbing wall, lounge, reception and the resort. The rooms are beautifully furnished and with comfort in mind for the guests. The restaurant serves amazing food for breakfast, lunch and dinner and there is also a “gourmet lounge” called Epicurious with an amazing range of wines and foods. On the balcony outside the main bar there is an outdoor hot tub (payable locally – includes a bottle of champagne!) and a great deck to enjoy the sunshine and beautiful views of Val Thorens. Skiers who are used to smart, lavish and slick holidays are to be provided with the very latest flavour of style, substance and design." In the heart of the 3 Valleys, a unique experience combining exceptional skiing with the pleasures of après-ski in a sumptuous setting with fabulous panoramic views. Contemporary design based on transparency and light, by Sophie Jacqmin: a modern interpretation of the mountain spirit. A top-end international Resort buzzing with energy; a festive and cosmopolitan ambience to ensure that sensation has centre stage. Enjoy panoramic views from a Resort designed to enhance transparency and light. Try all the pleasures of snow sports, from toboganninging to speed-riding, not forgetting skiing and snowboarding, in the world's best ski resort. Club Med Spa by CARITA and the latest fitness trends, cosy evenings and festive nights: the choice is all yours Original gourmet eating at all hours, take-away snacks for the slopes and the top in dining, with a Michelin star chef. 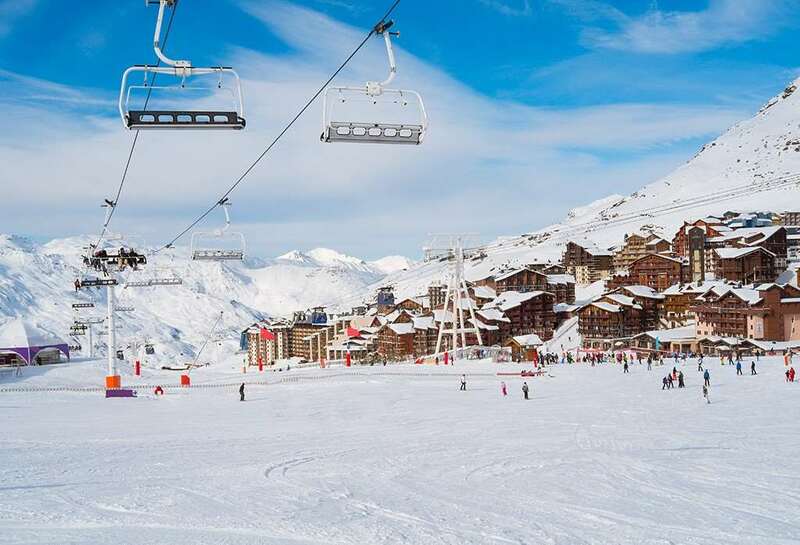 Located in the heart of Val Thorens with ski in - ski out access. Top - end design with super-light, comfortable accommodation. Standard - Elegance and refinement for intimacy and relaxation. Suite - The luxury of space and a truly fabulous view for this elegant Suite with balcony. Excellent week skiing, can&#39;t wait to go back! Club Med Sensations is brilliant and great value for money considering what is provided. Perfect family holiday with older children. The perfect ski-in, ski-out all inclusive resort. Great skiing, great food and great accommodation. The price shown includes 4 nights accommodation, with flights from Heathrow.